Apparently, if you're still craving Cronuts and tweeting about it, you're part of the 1 percent of netizens that still care. 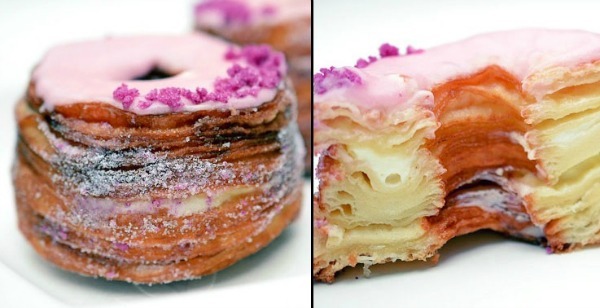 Apparently, if you're still craving Cronuts and tweeting about it, you're part of the 1% of netizens that still care. The rest have moved onto ramen-crusted chicken wings and grilled cheese sandwiches -- the next unspoiled "foodie" territory being conquered. How did we come to such a pretentious conclusion? We got word of a new tool dubbed Microsoft Social Listening, which pings Facebook, Twitter and blogs (sites with a url) for buzzwords in order to determine what's trending on the internet. Sentiment for a food term is graded by keywords within an article and headlines, ranging from "positive" words like delicious and wonderful to "negative" words like bland and overrated to grade overall opinion. Foods with the highest "Sentiment," aka the one's with the most positve "feels"
Note, while "Grilled Cheese" was one of the top foods being talked about, it's sentiment was the lowest -- the most negative -- on the list. Which leads us to think... people must be mad hating on that cheesy, melty goodness. Peek the infographic for more slick nuances and let us know what you discover in the comments.